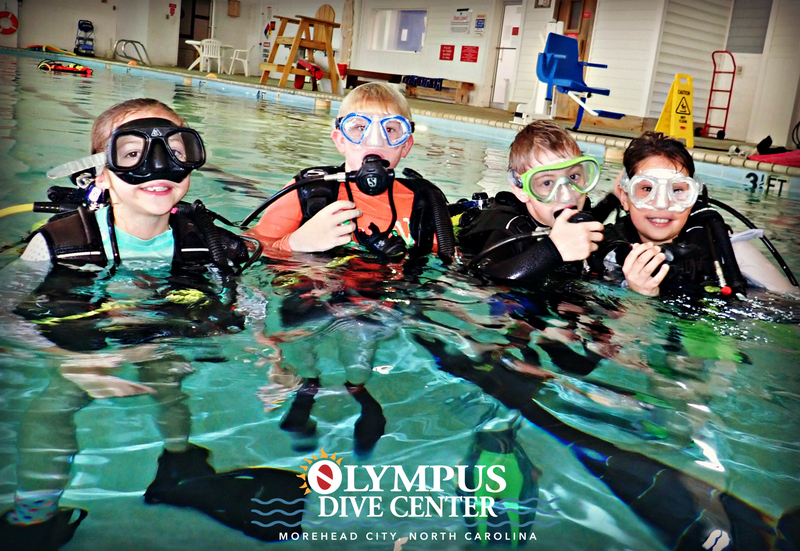 Olympus Dive Center offers the PADI Junior Open Water certification starting at the age of 10. I was certified as a Junior Open Water diver and I am glad that I got started at such a young age. I was able to get much more experience and saturation in the scuba world as I worked my way through to becoming an instructor. Now I teach and work here and the highlight of my job is getting to work with the Junior Open Water students. I have firsthand knowledge of what goes through a kid’s mind as they develop into a new diver. It is so rewarding to see the excitement in their eyes after their open water check-out dives, and their enthusiasm for the underwater world. The reason I got started at such a young age was so that the whole family could go diving together. There is nothing more satisfying than seeing a whole family getting certified together, then making a Sunday afternoon trip with us. Diving with the whole family is a unique and fun way to spend quality time together. I love to see families on board our boats and how the passion for diving can be passed from generation to generation. We offer half day charters that visit wrecks in 60ft of water and they run on the weekends. So even when school starts for the fall you can still make it here with the whole family. Open water courses are still running almost every weekend; do not hesitate to call for more information on beginning your adventure into the underwater world. If you are already certified go ahead and call the shop 252-726-9432 or check our online calendar to see availability for upcoming charters and courses.